What do you do when a packet of milk gets spoiled? Yes, a lot of things can be done from spoil milk. In today’s post we will see How to make Cottage Cheese/Paneer out of spoil milk. Paneer is a fresh, unsalted Indian cottage cheese which is widely use in indian curries and sweet dish. Homemade panner so soft, yummy & richy as compare store brought. Add lemon juice or vinegar after little milk bubbles. Strain the spoilt milk using a muslin cloth. Let all the whey get drained. Let it remain tightly tied for 4-5 hrs. 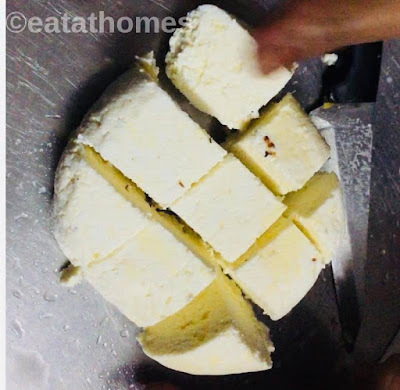 When you untie the muslin cloth, you will get paneer. 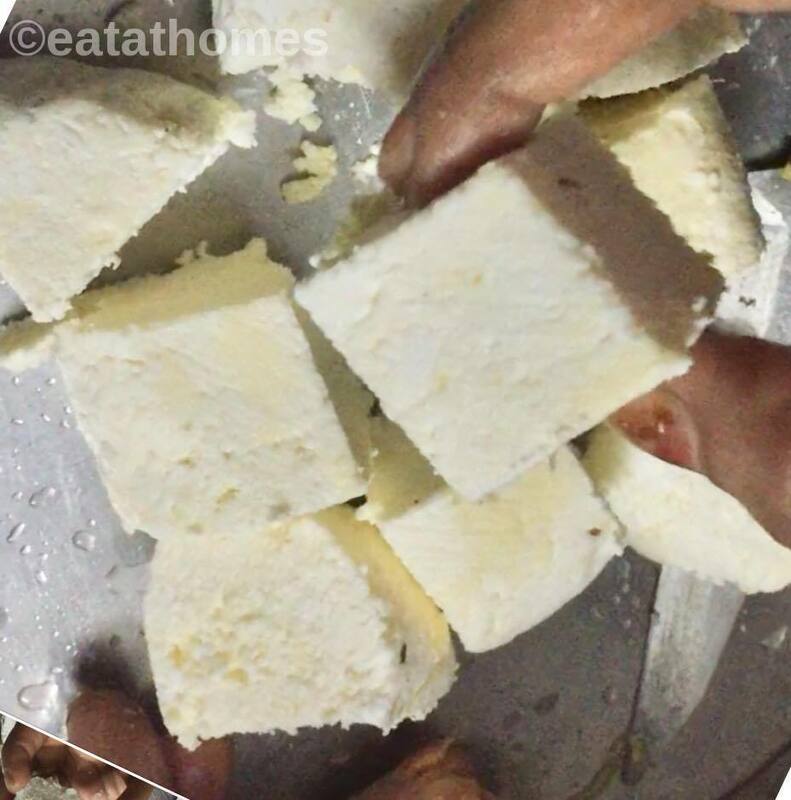 Cut this into cubes and use this to make a variety dishes like paneer makhni , paneer makhanwala, palak paneer etc.. This can stay fresh in refrigerator for 2-3 days.